Serbian Flag. All orders over $100 before shipping and any taxes receive a FREE, complimentary Serbia flag. 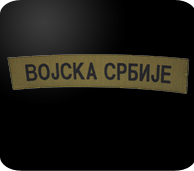 Serbian Camouflage (black & green) 4C's patch. All prices in Canadian funds. 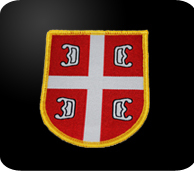 Serbian (red & white) 4C's patch. All prices in Canadian funds. 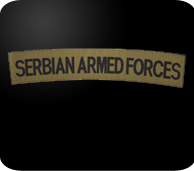 "Serbian Armed Forces" patch. All prices in Canadian funds. 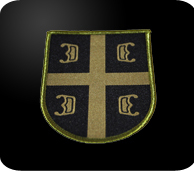 "Vojska Srbije" patch. All prices in Canadian funds.